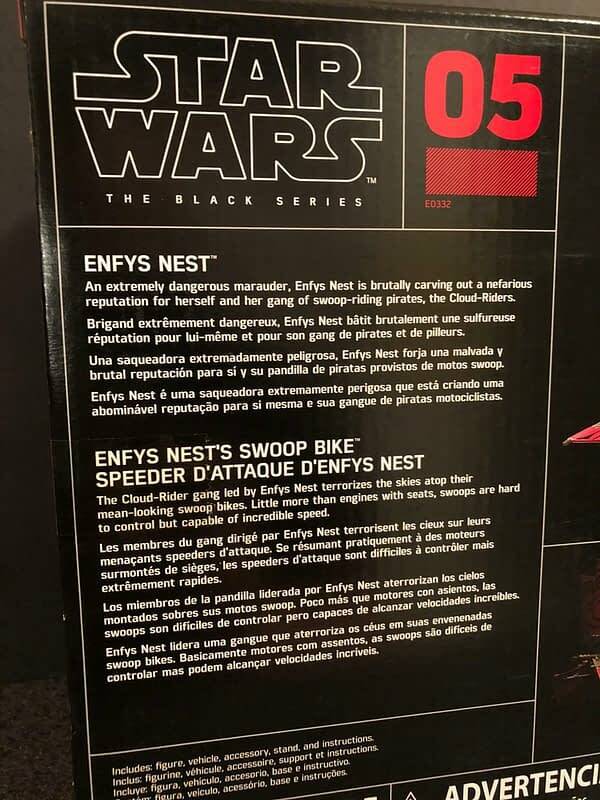 Star Wars Black Series collectors had one thing on their mind when watching Solo: A Star Wars Story in theaters this year: I need an Enfys Nest figure. 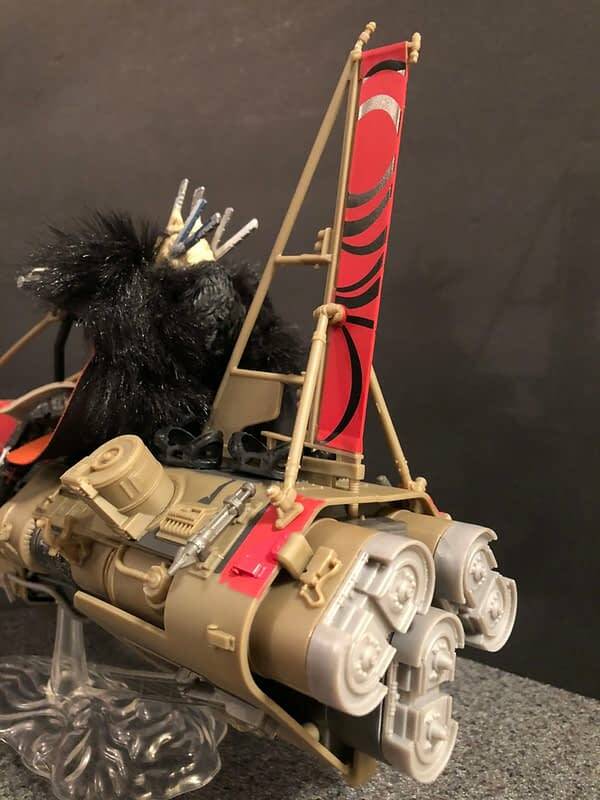 Form the moment she flew in on her swoop bike and attacked our heroes hijacking that train, she instantly became the break-out character of the film. 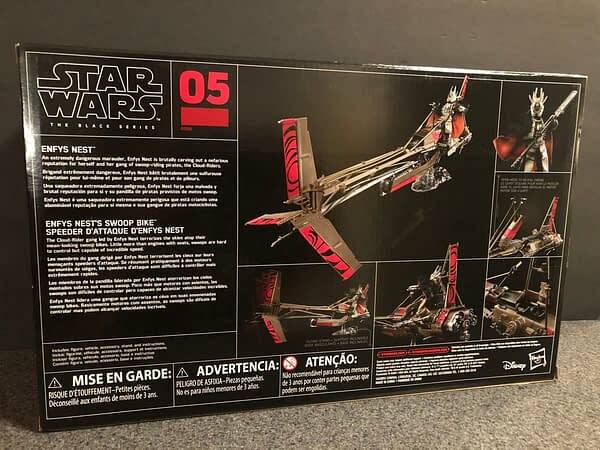 Smartly, Hasbro knew this and already had figures ready to go, one of which we will look at today. 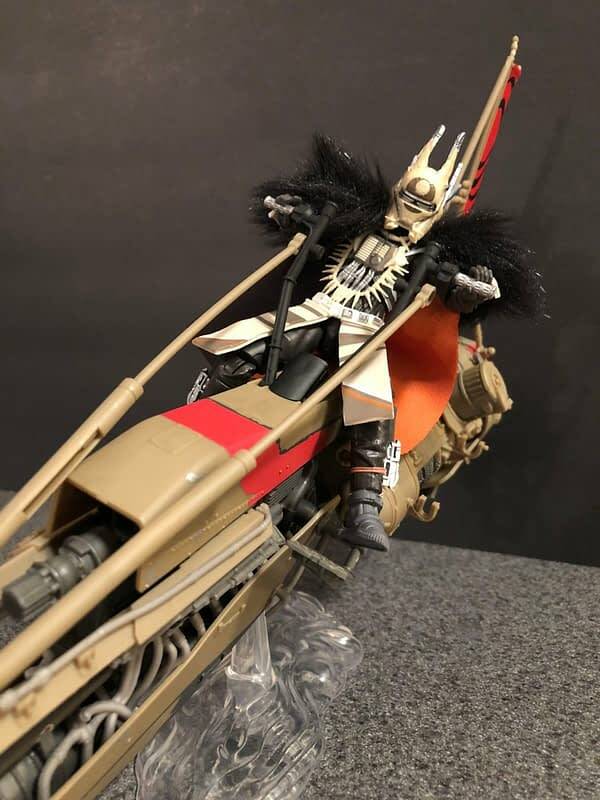 The latest Black Series deluxe vehicle is Enfys Nest and her swoop bike! 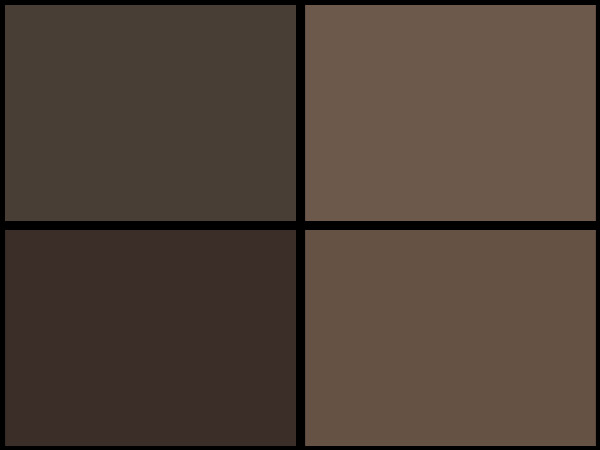 Packaging-wise, this is not much different than the others. They may want to freshen this up sometime soon. Nothing is really wrong with it, it just kinda all feels the same at this point. 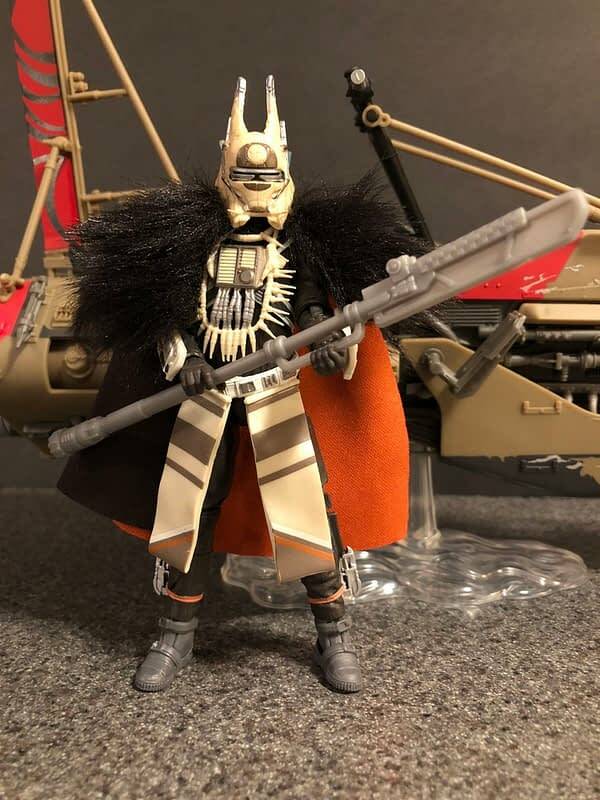 They display well though for MOC collectors, and thats important. Once you get the bike out, you have to assemble it a little bit. The front attaches really easily, as do the bikes handlebar attachments. 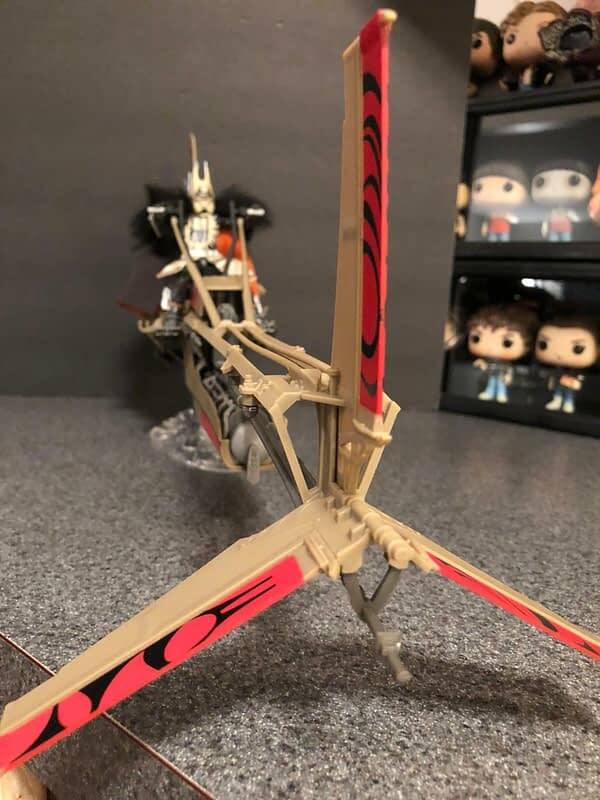 I do wish that they locked in place a little better, but since this will only be on display on my shelf its not an issue. 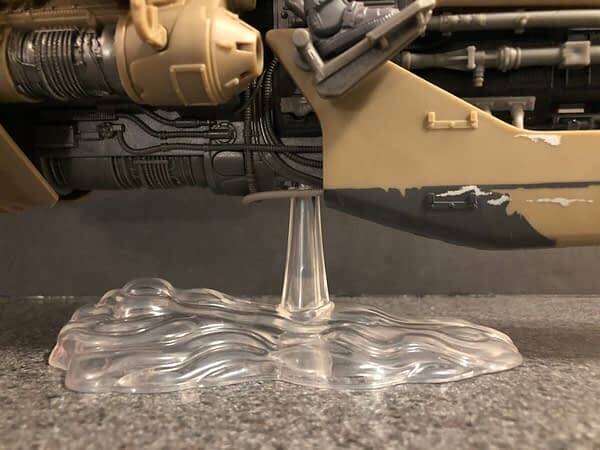 If kids are going to play with this, expect them to fall off a lot. 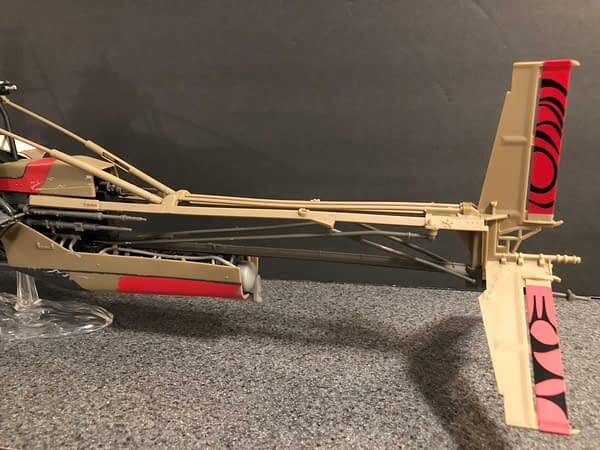 Just the sheer size of this thing was surprising, you see pictures and then when you get it in your hands and put it together, it really is something else. The paint aps are great, little details are clean and have a nice shine to them. 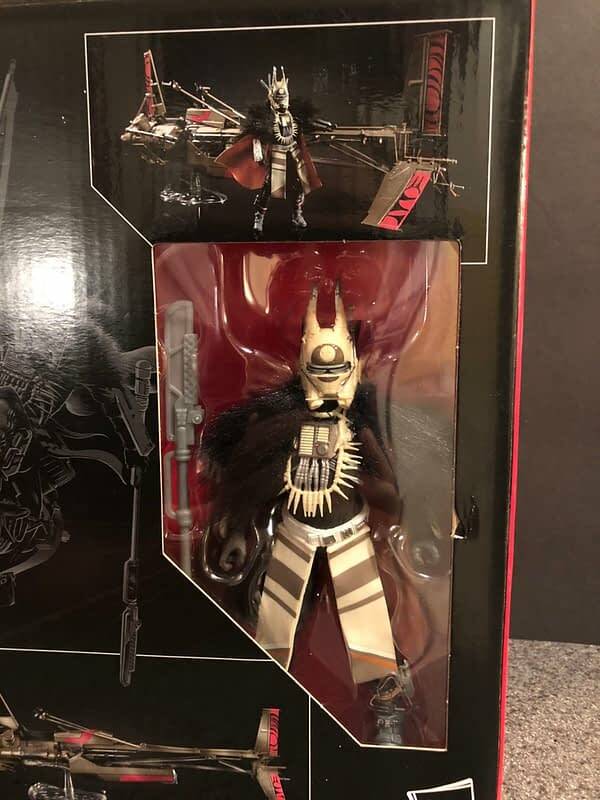 I am not a fan however of the molded plastic details. 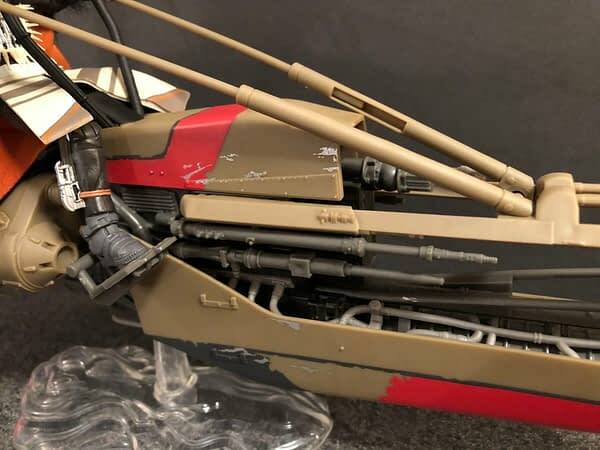 I know why they do things this way, and keeping cost down it commendable, but it ends up making otherwise stellar toys cheap looking. 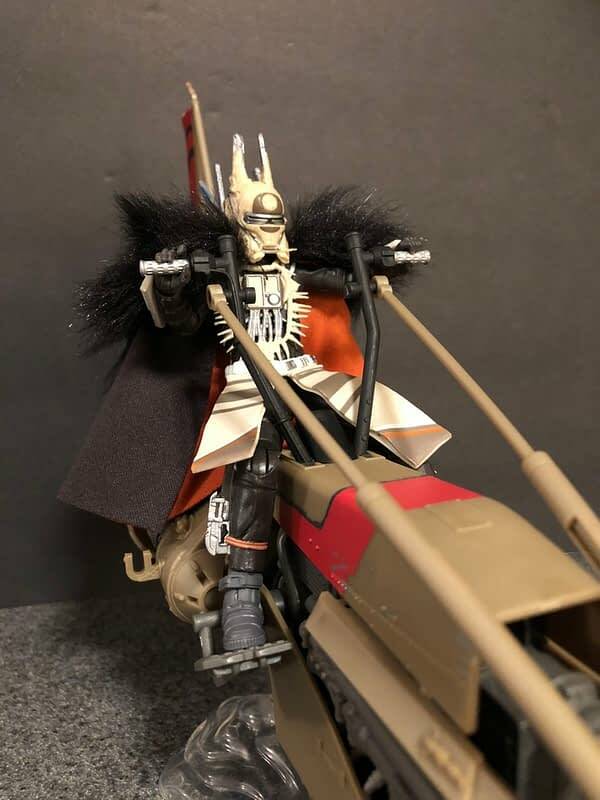 Enfys looks awesome posed on it, and thanks to a more dynamic base you can make it looks like she is zipping through the skies with ease. 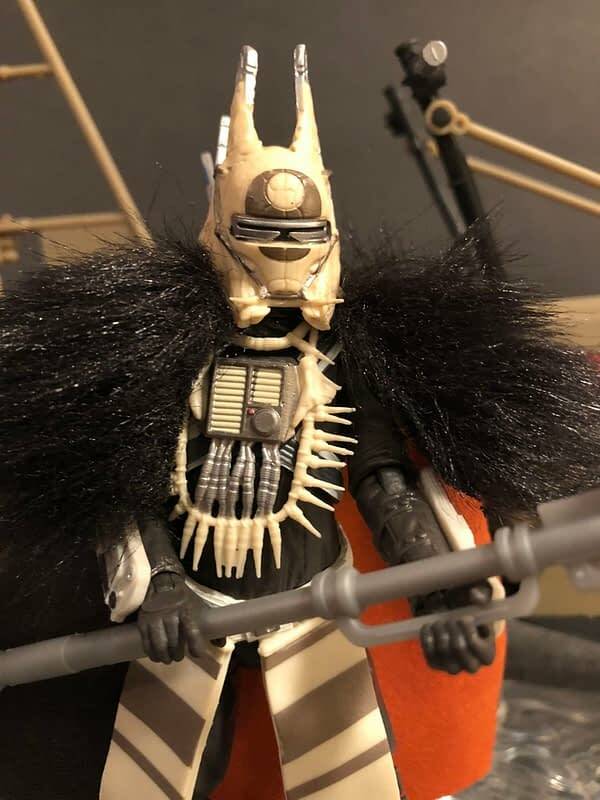 Speaking of Enfys Nest, this figure is superb. 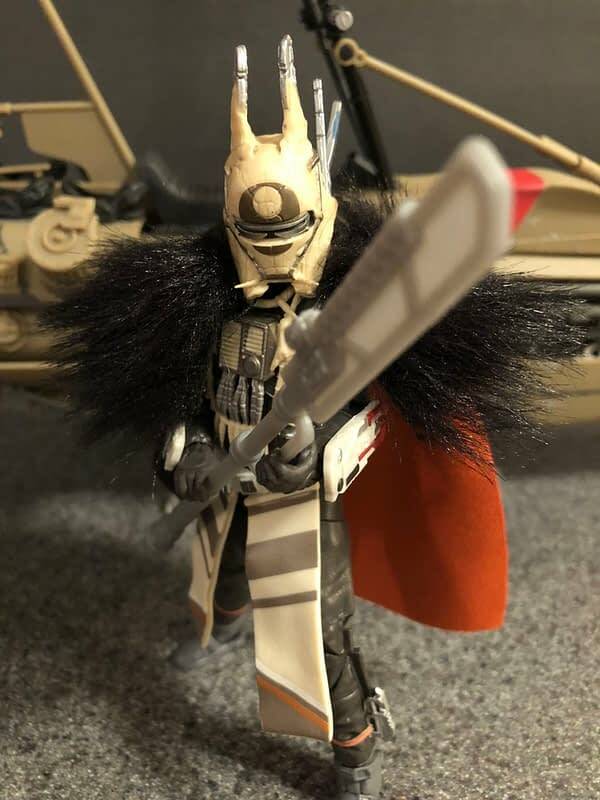 I wish the helmet came off, but other than that, the coat is perfect, the details on her armor and mask are great, she is easy to pose an maneuver. 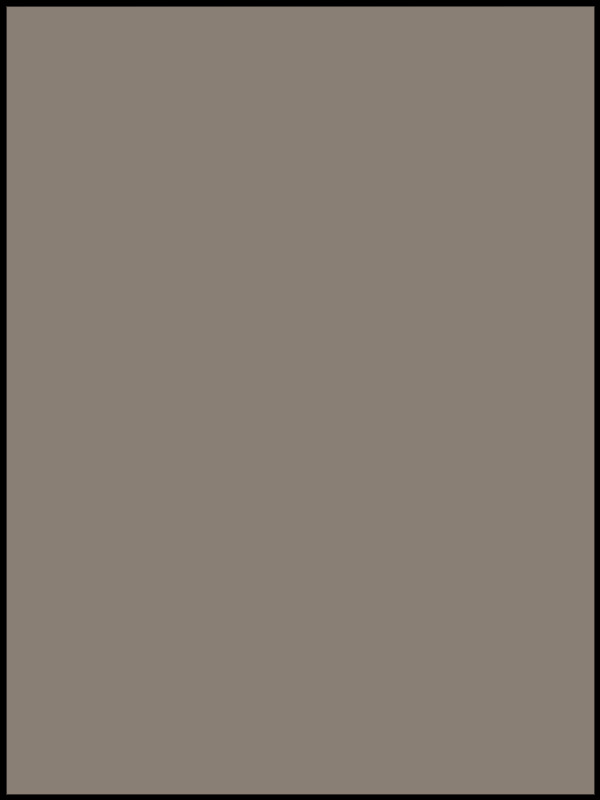 No complaints there. 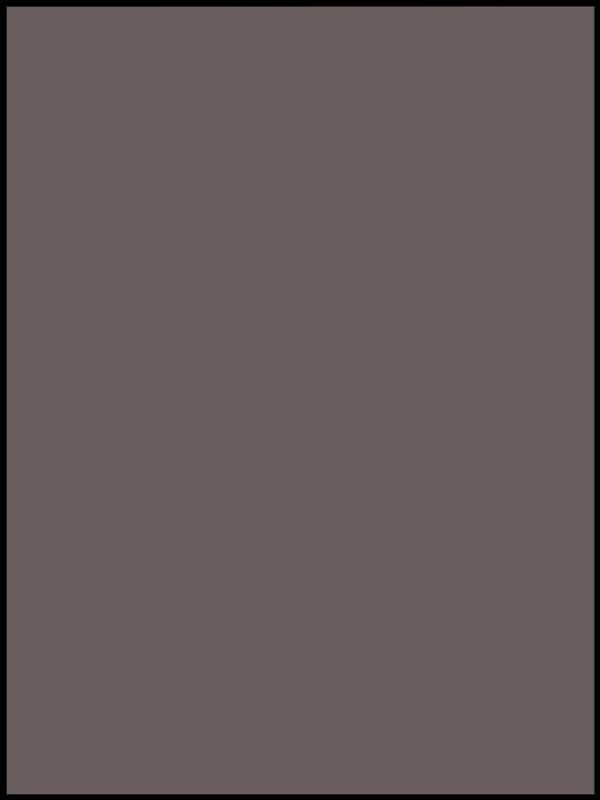 Overall, this is not a bad buy. the bike has its good and bad points, but the good outweighs the bad as far as a display piece. 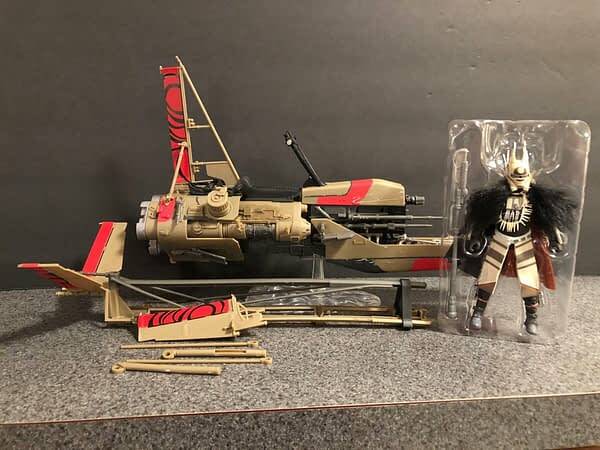 Currently, this is the only way to get an Enfys Nest Black Series figure, and it is almost worth the $60 for just her. 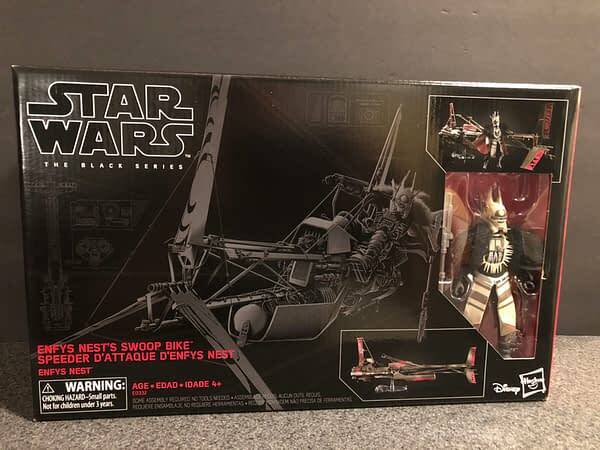 I would say wait for a sale to get this one though, or if you are just am Enfys fan, wait for a single pack release. 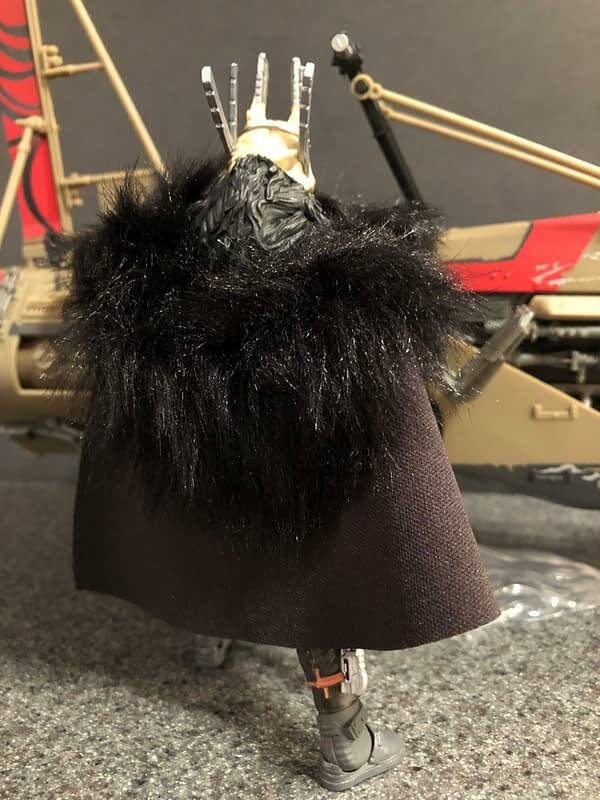 If you would like to order this one for yourself, you can do so right here!